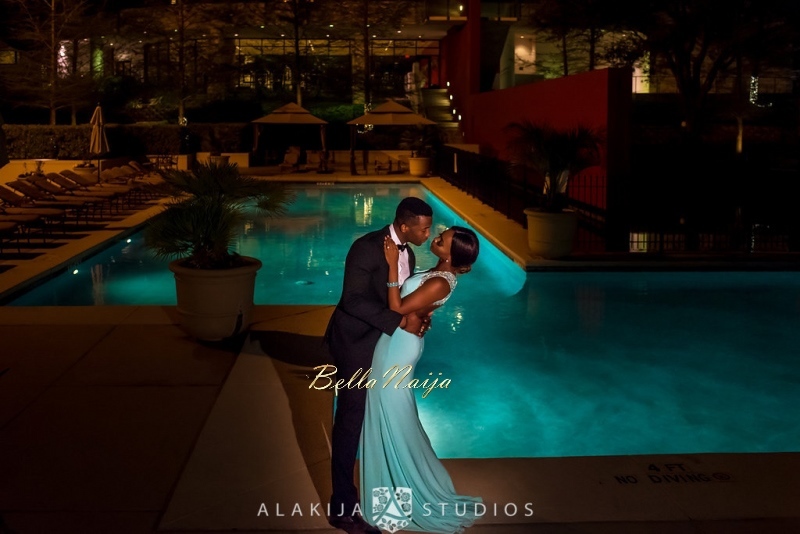 Tolani & Ibikun made the Cutest Pre-Wedding Music Video for “Woju”! 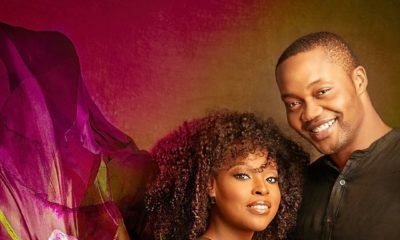 Tolani & Ibikun made the Cutest Pre-Wedding Music Video for "Woju"! We love creative couples! 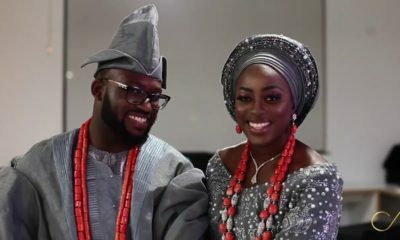 Tolani and Ibukun are gearing up for their August wedding and they shared this save-the-date video with their family, friends, and now you, the BN fam! They made their own music video to Woju and it’s funny and cute! Watch! I think the story starts when one day in class. A friend asked me if I had met this new guy named Ibk. I told him no, and he proceeded to tell me all about him. He said Ibk had moved here (to the US) from Netherlands but is Yoruba, from Nigeria, and in the corps of cadets etc. It’s funny because we both do not remember the exact day we met, but we think it was at an African Students Association (ASA) meeting back in 2009. Fast forward two years, I was organizing a scholarship pageant and needed some volunteers to help with the event. I reached out to him asking if he was interested in being one of our hosts and he agreed (till today he is convinced that I asked him to participate in the event because I was ‘interested’ in him). Later in the year we started talking frequently on Facebook and then through texts and then phone calls everyday. We quickly learned that we had a lot in common, both really into Nigerian music…both engineers…both God fearing… both oil kids growing up in different countries…both hate olives etc and so our friendship grew quite rapidly. Ibukun is truly a blessing to me. He has this natural gift of lighting up a room by bringing smiles and laughter to everyone with his outgoing personality. I admire his drive and dedication in everything he does, and I really appreciate that he also motivates and pushes me to strive for my best as well. He is my very best friend and I don’t know what I would do without him. He has been a constant source of happiness in my life. I thank God every day for bringing him all the way from Netherlands to Texas and into my life, and I can’t wait to spend the rest of my life with him. Words cannot describe the amount of joy and happiness I have experienced since I started my relationship with Tolani. She is one of the most caring, thoughtful and selfless people I know. She is smart and beautiful. Majority of females seem to have either one or the other. Sometimes, none. I am blessed and highly favored to be the one she chose to spend the rest of her life with. From the day I met her, I always thought she was too good for me. I know there is a God when he decided to show grace in aligning our paths. She is my best friend, my close companion, my adviser, my love. I will like to attribute the success of our relationship to our love for God and our deliberate focus on building a solid foundation of friendship. We learnt each other’s likes and dislikes: the fact that she claims to hate green but seems to purchase items in that colour the most, or her utter repugnance of guacamole. Who is at Fault? Touching Story of Man Who Lost Girlfriend Because He Was Broke! They are really cute. I watch them on youtube. Let’s just say, hot couple. Fine girl, fine bobo. Tolani is also very smart and hard working. She’s funny too. And you can see their friendship. I’m looking forward to their wedding photos, I know they are going have some fun. Oil kids. What does that mean? Both of them have parents that work(ed) for oil companies which meant they had to move around and live in different countries whilst growing up. It means our parent worked for oil companies and got trabnfered every 4 years so we lived in different countries #TEAMOILKIDS! Oil kids – kids of oil workers who have to move around almost always just because of the nature of their parents job. Lovely pictures and the video made my day. Congrats to the couple. My thoughts exactly. Read that part and STOPPED completely. That was uncalled for lool. awwwwwwwwwwwwwwww!!! sweet love and lovely couple! I patiently and humbly wait for my own awwwwwwww too!!! I know you got me. @ goddessofvictory…Yours will come, dear. Keep believing. God’s time is the best. From your mouth to His ears.Don’t ever doubt Him,will do it when you least expect. Awwwwwww!! this is Awesome!!! I totally love it! I am in love with the love that they express. Wishing them all the love, peace and joy that comes with the blessing of marriage! awwww they look so adorable together, and the video is actually refreshing…. This is the best ever!!! I literally had goose bumps all over. I wish them all the love, peace and joy that comes with the blessing of marriage! In wendy’s Voice, I LOVE THIS!!!! Ok my voice is better than wendy’s. Awwww I’ve witnessed their love grow…kinda…through her YouTube channel. Their union is already blessed! They’re truly best friends and are adorable together. cutest video ever…. *faints….bobo yen hanz gaan!!!. I used to watch their videos a while back, especially their ‘Nigerian songs of the week’ or w.e it was called. They are too freaking cute together!! So happy for them! 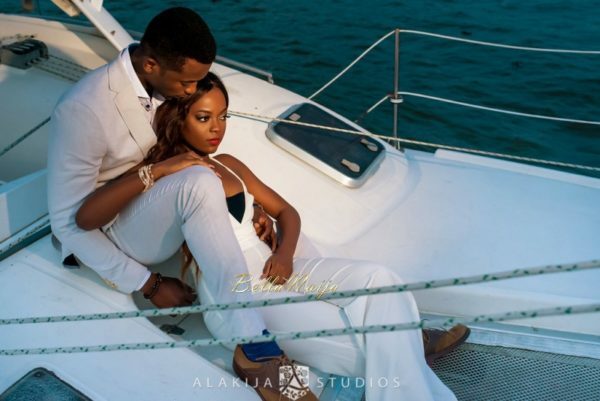 I just love this couple after watching tolani ‘s blog for sometime..wish you guys a happy love life.. Yaaaay!! The video finally made BN! wow, that’s all i have to say wow! these days starting a relationship is so hard, cos you dont know where to begin, i’m not sure whether to be myself with le boo or code myself, especially when u see girls getting married and u know the girl coded herself all through the relationship. these i’m not sure whether to be ok being just friends or droping the M word once in a while; these days relationships are sooooo difficult to be in, yet its a necessary evil. lol… you need to be yourself lol. Its better to always be you. On dropping M word.Just ask him where he sees the relationship going or his intentions. Lol, what you on about? If u think relationships are hard work. marriage is harder so don’t fake it cos when u become your true self hmmm … Neither you or ur partner will like it. beautiful people. i love it! please no one should misconstrue this question. what does it mean to be ”oil kids growing up in different countries”? Up your game? If you’re talking about smart game then sure. No one chooses how they look, so I really do not listen when people go on about beauty. BN, with the spelling mistakes I see from time to time, I doubt of you guys have an editor. In case you don’t, I’m a freelance editor and will do a good job. Having said that, please change the groom’s name to “Ibukun” not “Ibikun” , as the title spells. before not because…..guess i should i check mine too….lol! it is *i doubt if*, not *i doubt of*. You need an editor too. HAWT! 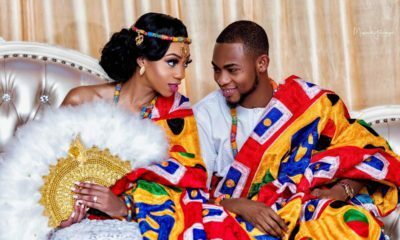 May God bless your union! Gorgeous couple! Love Love the video concept! Aww! Happy Married Life. I loved watching this. And these guys are dancers abeg! Awwwww,,,I totally enjoyed the video. The lady is such a good dancer! i wish couples could do the video thingy more often. I wish them the very best together. Some of these BN Comments got me to say this…. Thank God for whatever you already have and make it beautiful. You will have so many people “Awww” at it. The Couple that play/dance/have fun together will forever stay together. I haff said my own. Too perfect!! One of my favt song as well. Congratulations y’both & lol @ Oil kids.. I saw the # (281—) get ready TX here they come.. Both Engrs #sigh# onto moving things.life lol. From d parents & Now to them & their future with kids. All d same, it’s well with them. ANd they are both really really young. OMG!!! 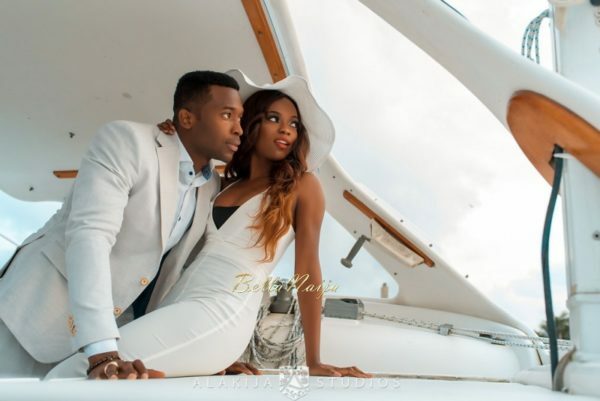 this so loving….ha ha ha (tear drop)heartbeat for u both, congrats n wishin u d best as man n wife. D dancing has just started…i dance with u oooooo oya make dance(shoki style). Beautiful couple hmmmm the guy is so cute. Plz tolani can u borrow me diz guy for just 50 to 60 years! Congrats! God bless your union and live happily 4ver. Tiwa na ade o. They are cute together…Gos will bless your home..You are indeed a shinning example…I pray to also call on Bella Naija when my own time comes. It’s Ted Abudu & Adebola Makanjuola’s Traditional Engagement Today & We’ve got the Pre-Wedding Photos!